Altyre castle consists of a substantial mound adjacent to the Altyre burn on estate land to the south of Forres. It is also next to the ruined 13th century Altyre chapel, and has not officially been recognised as a motte. It is a clearly regularised natural hillock several metres high, with a flat oval summit capable of housing a number of large buildings. There are traces of a ditch at the base, which was probably wet at one point given the location of the burn. 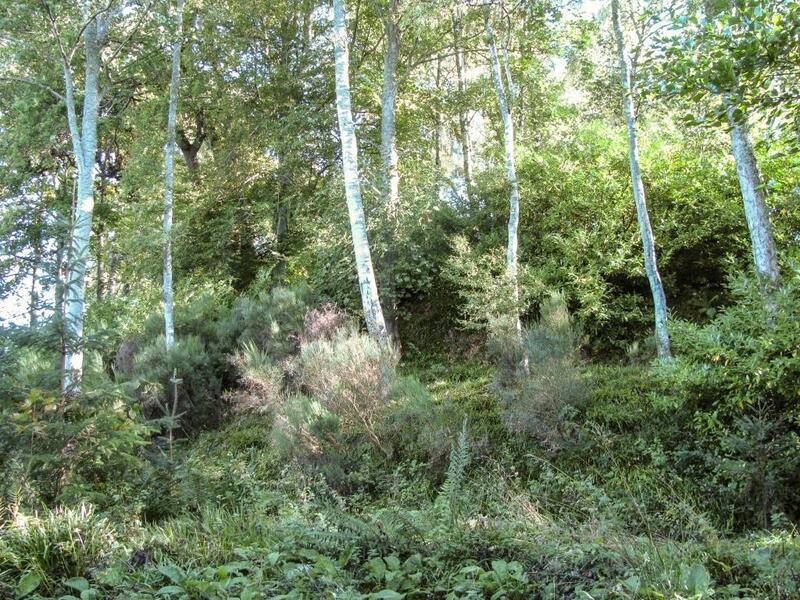 The mound is heavily overgrown with trees, and has a track winding around the slope to the summit, around which are possible traces of a rough unmortared wall. Altyre is said to have been a property of the Comyn family from at least 1286, which would suggest that the grant was made c1229, when Walter Comyn was made Lord of Badenoch. However the earliest record of a Comyn of Altyre is in 1368, when Richard of Altyre was the forester of the King in Darnaway. Richard is supposed to have been the son of Thomas, who somehow avoided being forfeited in 1320 – presumably agreeing to come into Robert Bruce’s peace. If this is so, it would be strange, since Thomas’ father Robert was killed at Dumfries along with his uncle John (II) Lord of Badenoch. Altyre was probably used purely for hunting by the mid 15th century. Richard the forester was followed by his son Ferquhard, and his grandson Sir Thomas. Sir Thomas built the family a new tower house at Dallas, the ruins of which still stand in a field by the village, and possibly built a modest tower at Altyre as well – one appears on an early image of Altyre dating to 1826. Whether this was on the castle mound or not is unknown, but it is possible as the position seems to be elevated. This tower was probably attacked by the Brodies in 1550 during a feud, but was still in use as it appears on Pont’s map of c1590, along with a mill. In 1795 the tower was abandoned in favour of a new and extensive house, and disappears from history.